Worm pie? Sand pizza? Tasty! 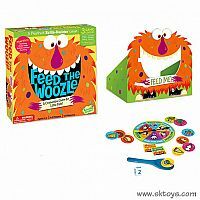 The Woozle is hungry! 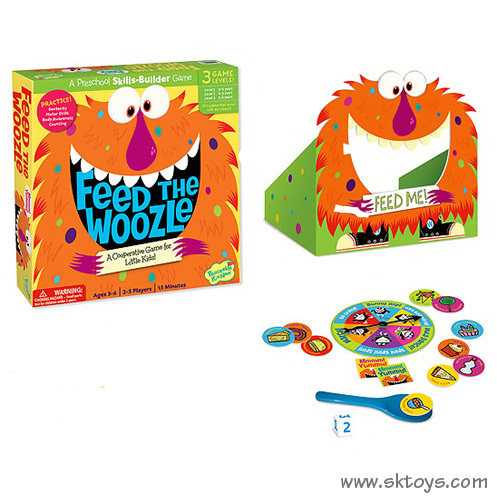 Can you feed the Woozle 12 silly snack tokens from the spoon before all the snacks are gone? Set up the Woozle a hop, skip, and a jump away. Then roll the die and place that number of silly snacks on your spoon. Spin the spinner to know what movement you need to make as you cross the room holding the spoon. Will you have to march or hop or walk backwards? Don't drop your snacks on your way! Feed the Woozle 12 snacks and everyone wins! 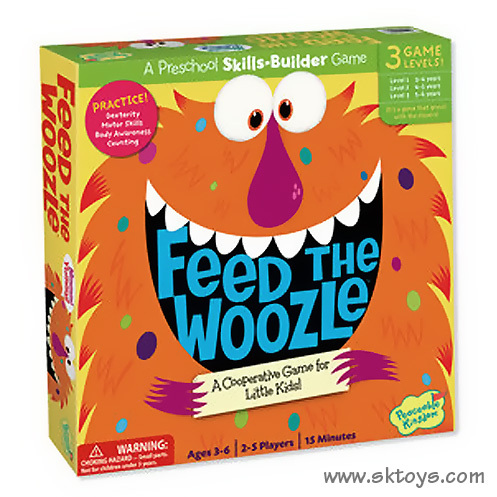 Feed the Woozle is a great way for young children to learn body awareness, fine motor skills, dexterity, gross motor skills and counting. Directions for 3 levels of play included. 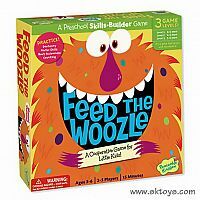 A fun, cooperative and silly game for little kids For 2 to 5 players. Game play is approx. 15 minutes. Oppenheim Toy Portfolio Gold Award Winner. Ages 3 to 6 years. Measures approximately: 10.75 x 10.75 x 2.25 inches..